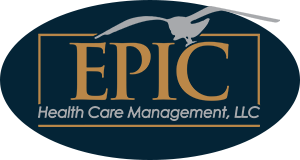 Intrinsic to each facility in the EPIC portfolio are the words “Rehabilitation & Healthcare”, as our overriding goal is to rehabilitate patients and successfully return them to their lives. That is why you will find 10-15 therapists at each facility – an integral factor in assuring we provide aggressive, proactive, targeted therapy. However, not every patient is capable of returning home. For those who have come to reside permanently, we aim to create the best possible environment while optimizing their quality of life. Ready to discover the unparalleled luxury and compassionate care that embodies an Epic Facility? Visit the “Our Facilities” page to learn more.